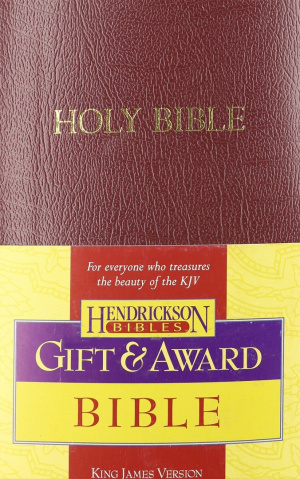 KJV Gift & Award Bible: Burgundy, Imitation Leather by Hendrickson was published by Hendrickson in February 2006 and is our 2529th best seller. The ISBN for KJV Gift & Award Bible: Burgundy, Imitation Leather is 9781598560220. 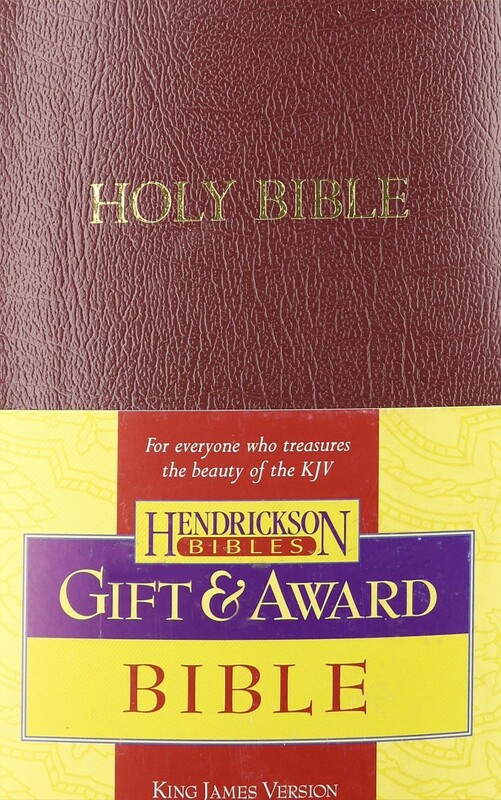 Be the first to review KJV Gift & Award Bible: Burgundy, Imitation Leather! Got a question? No problem! Just click here to ask us about KJV Gift & Award Bible: Burgundy, Imitation Leather. Does this Bible have the words of Jesus in red text? A:This Bible does not feature the words of Jesus in red.